As many of you will know I suffered a full rupture of my A2 pulley whilst on a bouldering trip in South Africa last July. When the injury happened I was in the best form of my life and I was absolutely devastated with the set back. On returning home I set myself a goal which was to be climbing at a reasonable level within 6 months. With this in mind I booked a trip to El Chorro for January. 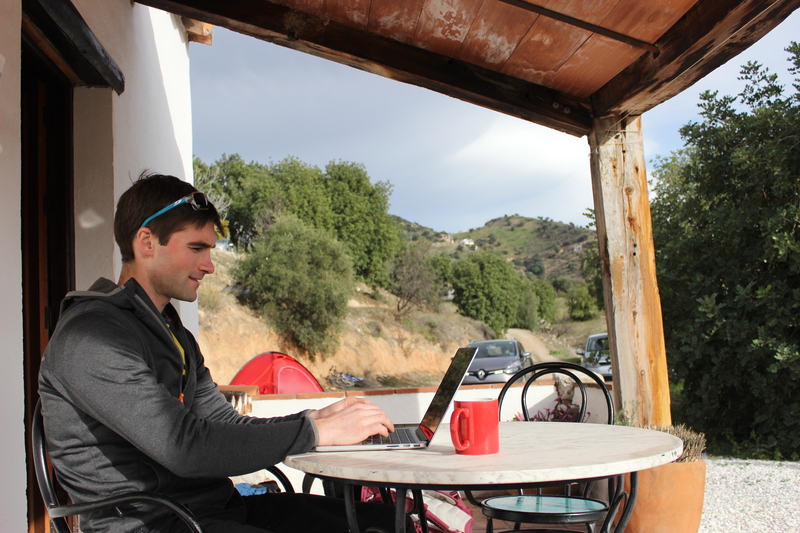 I am writing this blog sitting outside our Finca in El Chorro having just climbed my first 8a, Mar de Ortigas, since the injury. It has taken me 188 days to get back to this level. In my previous blog here I documented the first part of my rehab. Below I will try to explain what I have been doing between then and now. The next step after completing my finger curls was to build finger strength progressively on the fingerboard. I started with partial body weight hangs on big holds in an open handed grip. The way I did this was to stand on a set of bathroom scales whilst doing my hangs. At first I only took 30% of my body weight, then 40%, then 50% and so on until I could comfortably do my sets of hangs without standing on the scales at all. I did repeaters i.e 7 seconds of hanging 3 seconds of rest, repeat for 6 reps. This was one set. My sessions consisted of 3 sets with 5 minutes rest between sets. When I felt strong and comfortable open handed I worked through the same routine but in a half crimp position. It was really motivating to see progression through these sessions and my finger had less pain and stiffness as well as feeling stronger after each session. I must add that I had my finger taped using the H taping method for my fingerboard sessions. Now this all sounds very scientific and structure but I must admit that I was really missing climbing movement so I added one session a week on the circuits into my rehab. 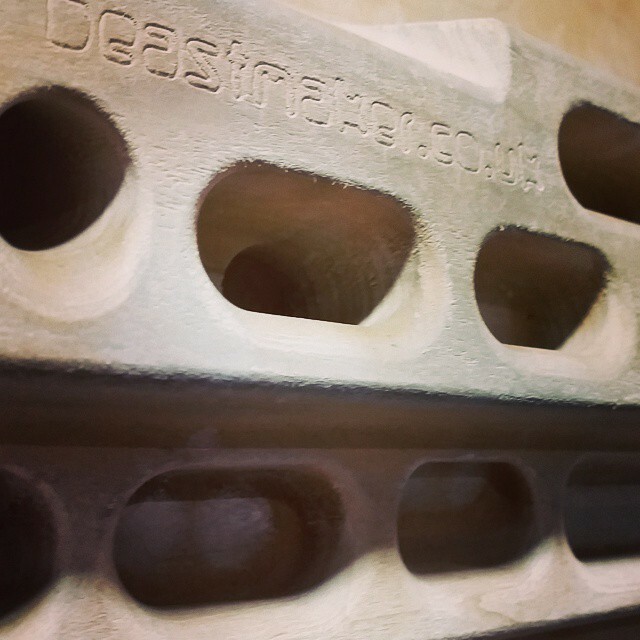 I started off by doing the easiest circuit at the wall using only massive holds. Each week I increased the number of moves I did until I was doing over 1000 moves in a 2 hour session still on the very biggest holds. I climbed very carefully and precisely making sure to place my feet perfectly so they didn’t slip. The last thing I wanted to do was shock load my finger. I actually really enjoyed these easy climbing sessions. They gave me time to concentrate on perfect climbing movement and to iron out some flaws in my technique. After a month of this my climbing felt really fluid and efficient and, dare I say it, better technically than it had ever been before. I supplemented the fingerboard sessions and circuit sessions with general conditioning and core work often on the TRX. As my finger strength increased I started to increase the difficulty of the circuits. I made sure I was well warmed up by doing a few hundred moves on the easy circuits before moving onto something harder. At first this meant making my own 40ish move circuits up to avoid any small crimps. Eventually I could climb the set climbs but I had to open hand the small edges, getting my “pinkie” finger on wherever possible. I was still trying to do about 1000 moves per session. The thing I would say about this and any stage of the rehab would be to really “listen” to the injury. 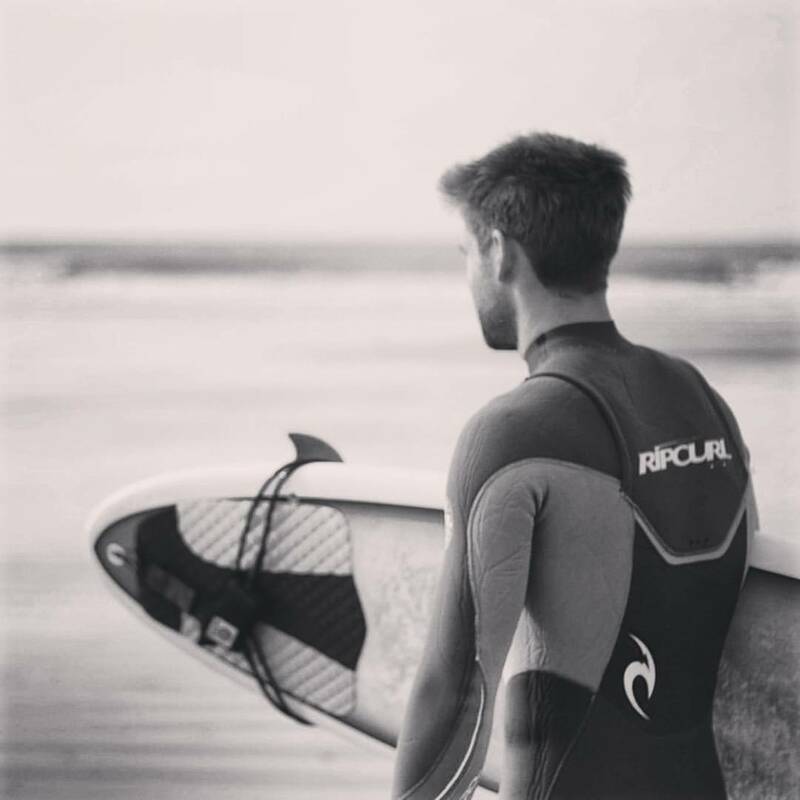 If there is pain or anything more than mild discomfort reduce the intensity or stop altogether and go and do something else for a while, like surfing. 6 weeks before my planned trip to El Chorro I started to really up the intensity of my rehab, in fact you could almost call it training. Having done so many moves on the circuits I had given myself a really good endurance base. I also Route Set for a living, part of this job involves testing the routes or boulder problems I have set (to make sure they work at the given grade and are nice to climb) and this testing was all the strength/power training that I needed so all I had left to work on was my power endurance and recovery. 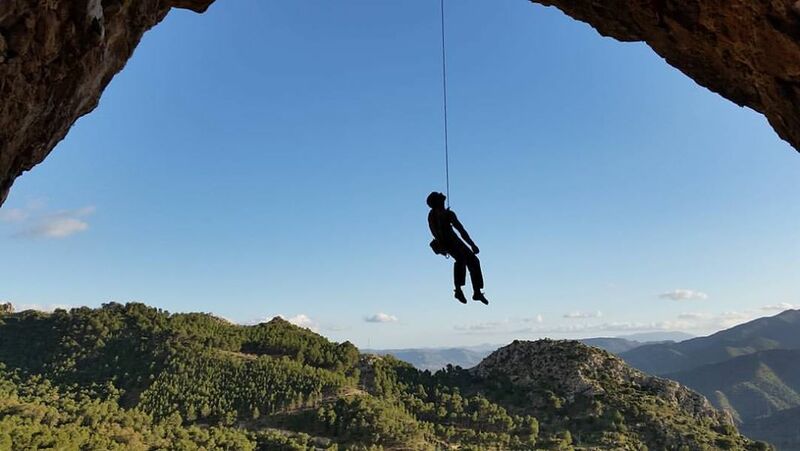 The style of climbing in El Chorro is generally long, steep and pumpy. You often have to move efficiently through hard sections, getting pumped, before finding a nice rest, perhaps a knee bar, where you have to recover as best you can. My favourite way to train for this is again on the circuit boards. I do a kind of interval training which involves warming up thoroughly before alternating between a hard circuit where you get pumped and an easy circuit where you can recover fully. Alternatively you can do a hard pumpy circuit then try and recover on a good hold or rest position before repeating the hard circuit. Admittedly I had set this circuit to suit me. It has no crimps and mainly consists of big wide moves on pinches and slopers, just like El Chorro. So here we are, in El Chorro. The rehab and training seems to have paid off and I am really happy with the level of climbing I have been able to return to. I am confident that I will be able to return to my previous form and maybe even surpass it. The thing I have learnt through this process is that many people who push themselves in sport encounter injury along the way. It is the how you deal with your injury that dictates the outcome. Be positive, use your time and energy constructively to work through your rehab and perhaps you will be able to reach new heights in your chosen activity. I will let you all know how my week in El Chorro pans out. I must also thank my sponsors, Mammut UK and La Sportiva for their continued support. 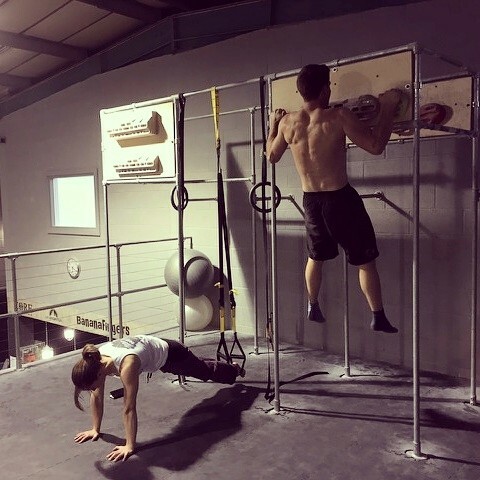 This entry was posted in Bouldering, Injuries, Rehab, Sport climbing, Traditional climbing and tagged climbing, climbing injuries, rehab by Cailean. Bookmark the permalink.